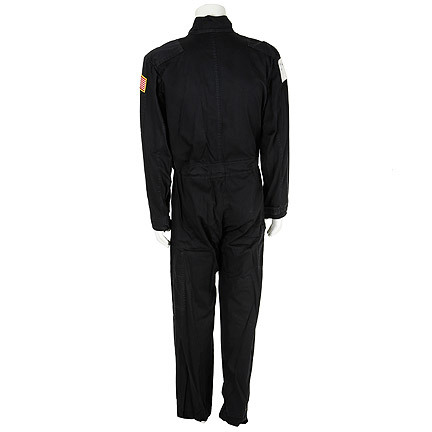 This futuristic military flight suit was worn by the character “Lt. 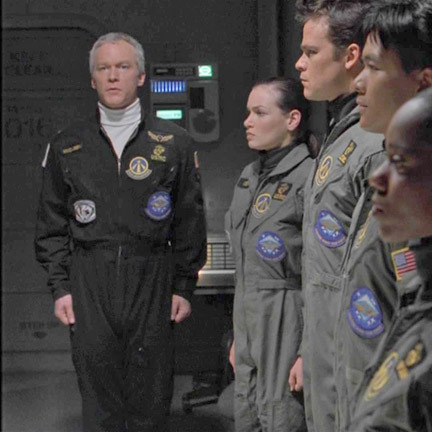 Col. Tyrus Cassium ‘T.C.’ McQueen” portrayed by actor James Morrison in the science fiction television series “Space Above and Beyond”. 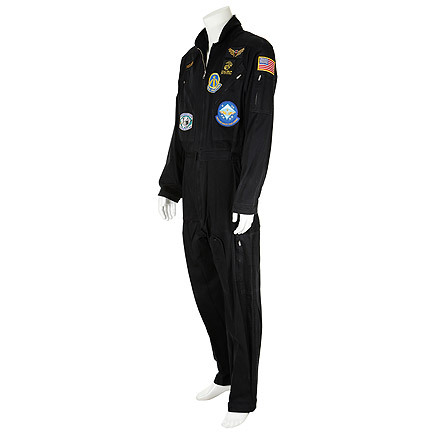 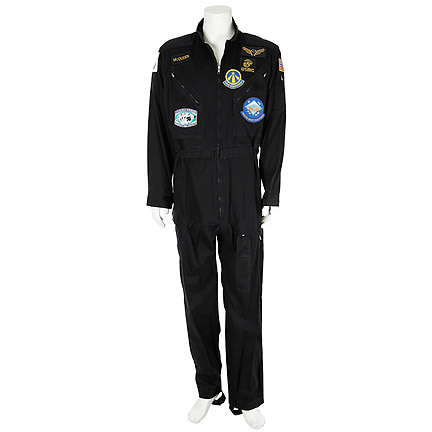 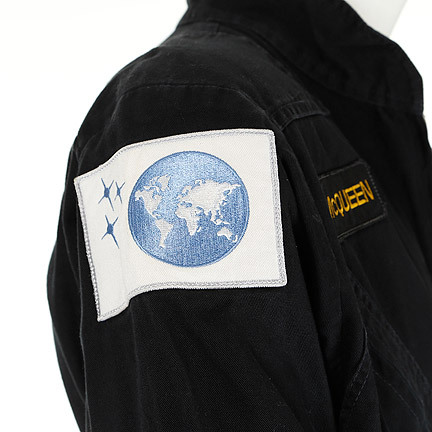 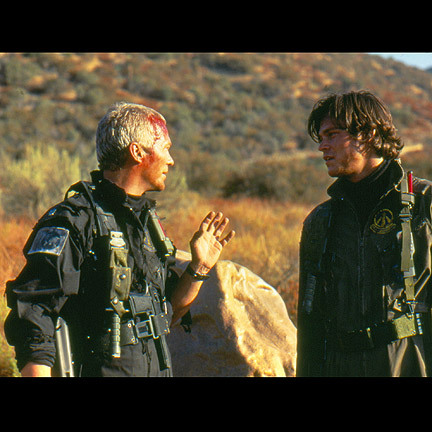 The flight suit is constructed of a black cotton material with multiple zipper pockets, Velcro cinched waist, and custom made patches including, “58th Squadron”, “Marine Space Task Force”, “Wildcards – Expect No Mercy”, and the character nametag “McQueen”. 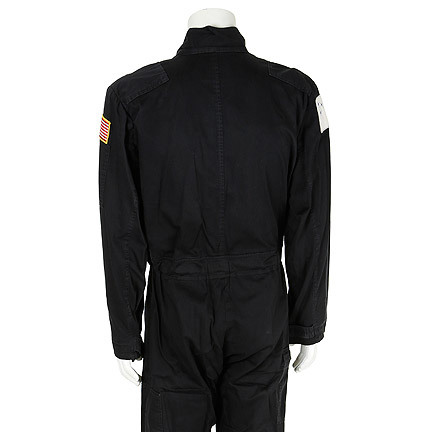 This garment was McQueen’s signature costume worn throughout the majority of the series. 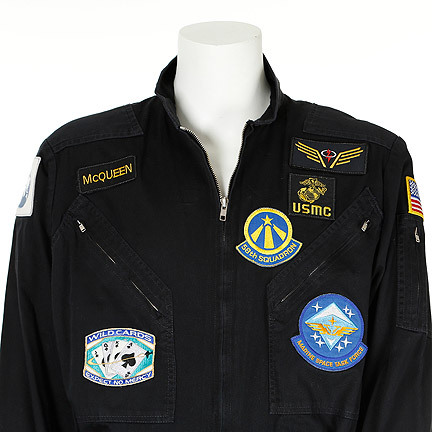 Mr. Morrison also wore this garment in numerous promotional images for the short-lived yet beloved series, in which he played the leader of the futuristic United States Marines 58th Squadron, also known as “The Wildcards”. 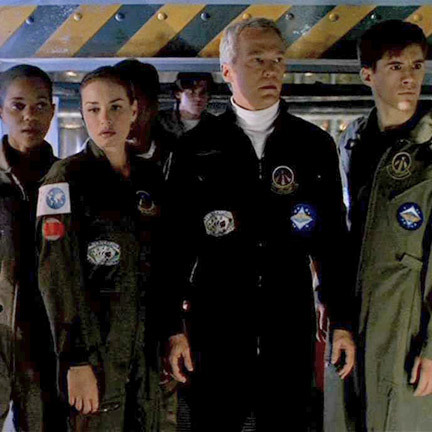 Despite its short lived run of only one season in 1995, “Space Above and Beyond” gained a loyal following and was nominated for two Primetime Emmys. 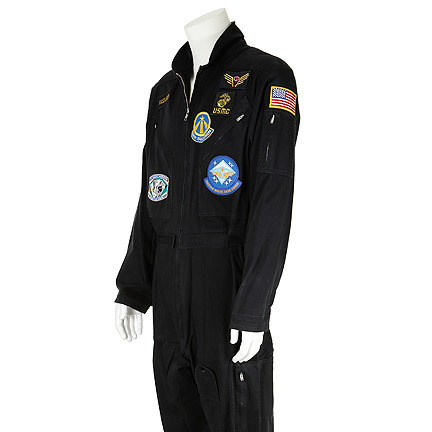 This costume is in good screen worn condition and is accompanied by a letter of authenticity from the costume house. 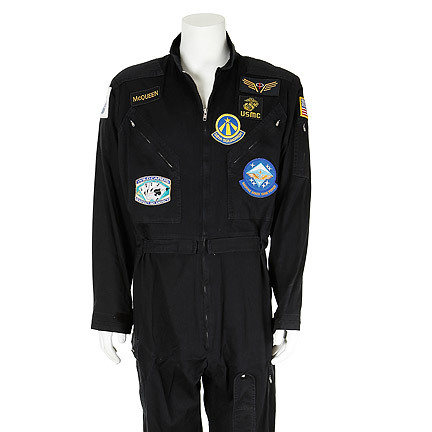 Presented by The Golden Closet, your premier source for screen used wardrobe, props, and collectible music entertainment memorabilia.